APITONG OIL offers superior protection for exterior wood applications such as decking, siding and furniture. Our secret formula protects your project while allowing the natural beauty of the wood to remain the focus. Using a proprietary blend of Tung Oil, Fungicide, and Trans-oxide pigments, the exclusive APITONG OIL formula provides long-lasting penetrative protection for exterior wood applications while using only the finest components. 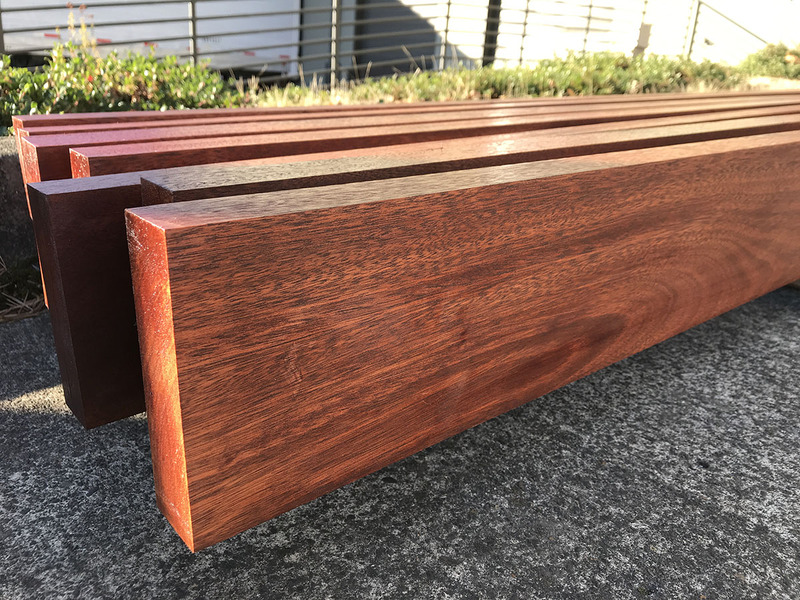 Our own installation guides for exterior hardwood require that you use an oil-based protective finish, which is why we are proud to offer the very best exterior wood finish on the market. The use of Tung Oil originated thousands of years ago in China where it was used as a preservative on wooden ships. Today it is the woodworkers’ #1 choice to add protection and beauty to a finished project. 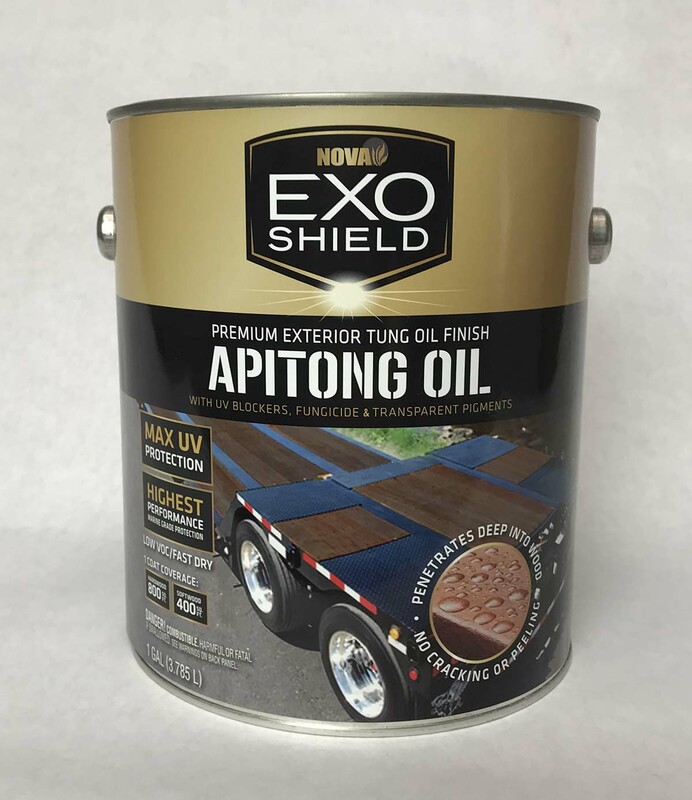 APITONG OIL trailer deckFinish takes advantage of the penetrative and protective properties that Tung Oil serves to create a naturally durable and long-lasting trailer deckfinish. 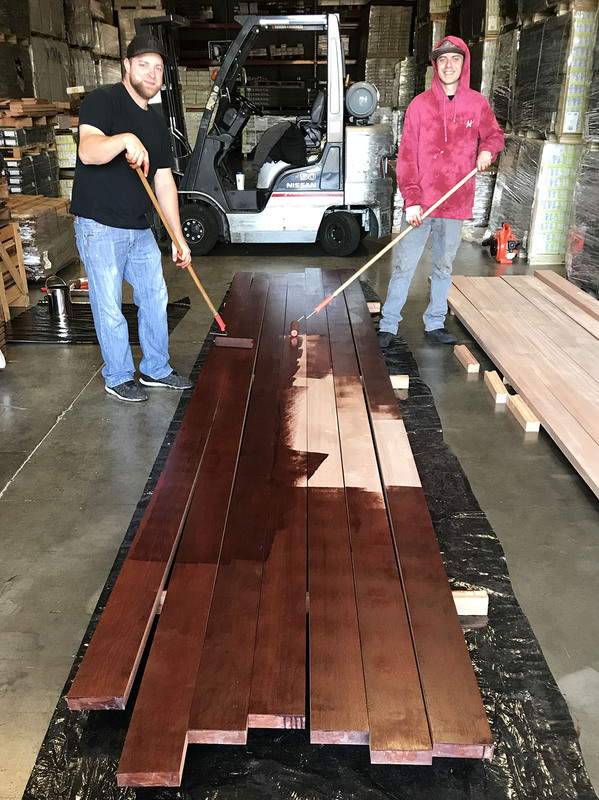 The Tung Oil used in APITONG OIL trailer deckFinish contributes to provide a naturally water-resistant, acid-resistant, and easy to use trailer deckfinish. It also greatly reduces the chances of boards either cracking or warping when correctly applied. Fungicide is an essential component to maintaining the timeless beauty of your exterior wood project. APITONG OIL Wood Stain not only offers protection from harmful UV rays and water damage, but it also includes a fungicide in the formula that will keep your decking, siding or outdoor furniture in top shape, and fungi free. This is just another reason why APITONG OIL is the answer for all exterior wood applications. 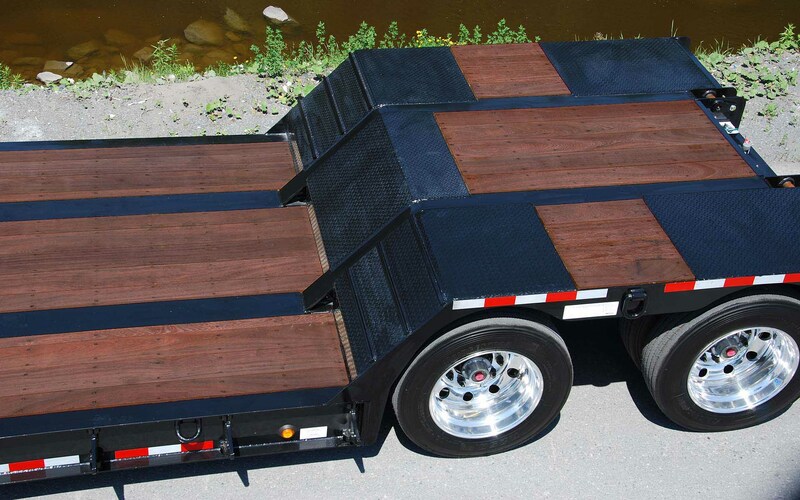 We use trans-oxide pigments and UV blockers in APITONG OIL to protect your trailer deckfrom harmful UV rays, adding to the longevity of the structure and color. The pigments used in APITONG OIL trailer deckFinish will bring out and protect the natural colors of the wood it’s used on, providing a long-lasting vivid result. APITONG OIL will lengthen the lifespan of the wood's color, delaying the graying process. When applied every one to two years, your trailer deckwill maintain a nearly brand-new appearance, with very little maintenance. Applying our APITONG OIL oil-based wood stain has been made easy - Anyone can correctly apply APITONG OIL. In order to correctly apply APITONG OIL wood finish, the first step is obtaining a very clean and smooth surface. Be sure to scrub the wood thoroughly removing all grime, dust, and any mildew that may exist. Standard consumer grade exterior wood cleaners are available from both Messmer's and Deckwise. They are a combination of Sodium Percarbonate / Sodium Carbonate Peroxyhydrate and Soda Ash / Sodium Carbonate - when mixed with water, the cleaning solution can be applied to the wood's surface with a garden chemical sprayer. After soaking in for 5-10 minutes, the material should be thoroughly scrubbed with a stiff-bristle broom or brush and then rinsed thoroughly. It may take a two to three applications in order to remove several years worth of dirt and mildew, and fully restore the original color of the natural wood. Many species of high density hardwood contain a high degree of tannins and tannic acid. These hardwoods include Ipe, Cumaru and Batu, as well as many others. As the final step before treatment with APITONG OIL, we recommend that a wood brightener is applied. Standard consumer grade wood brighteners are also available from both Messmer's and Deckwise. The brightener comes in powdered form again and consists of Oxalic Acid / Oxalic Acid Dihydrate. After applying the cleaner and or brightener, be sure to let the wood dry out completely which will usually take 2-3 days. Even when finishing fresh wood, a completely dry surface is required. Do not finish your wood project with APITONG OIL unless you have had a minimum of 2-3 days of dry weather and do not expect rain within 24-48 hours. If the wood's surface does get wet soon after finishing, you will likely get water spots on the surface which must be sanded out prior to a light refinishing with APITONG OIL. After finishing, you should avoid contact with the wood's surface for at least 48 hours. APITONG OIL will take up to two weeks to fully cure to its final hardness. Many projects require some degree of sanding especially if they have aged more than a few years. In addition, if there are areas that have been badly weather-beaten or contain loose fibers, a light sanding using 80-100 grit sandpaper is necessary to smooth out the surface and remove unwanted blemishes. For high density hardwoods such as Ipe, Cumaru & Batu, you should expect to get 600 to 800 SF of coverage per gallon - no, that's not a typo. 600 to 800 SF of coverage can easily be achieved on hardwoods because our APITONG OIL wood finish is not loaded up with solvents and oils that evaporate quickly. It's simply amazing how different working with APITONG OIL can be compared to typical exterior wood finishes. Softwood applications will absorb more APITONG OIL finish than hardwoods so coverage will vary between 400 and 600 SF per gallon, depending on the density and grain characteristics of the particular wood species. We recommend rolling or brushing an initial coat of APITONG OIL finish onto the wood project - a 3/8" nap roller works best. The finish should be allowed to soak in for 20 to 30 minutes and then it should be wiped off with a clean cotton or microfiber cloth. Additional coats may be applied if desired. 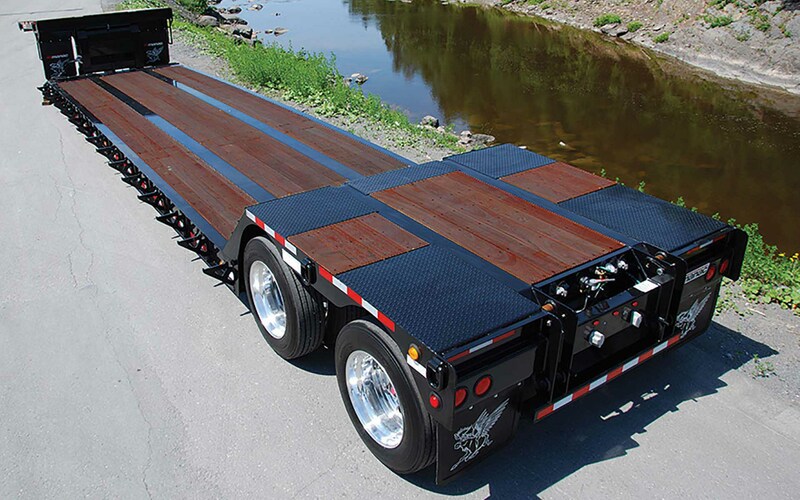 For decking applications, we strongly recommend that finish is applied on the underside as well as the topside of the trailer deckboards. For siding applications, we recommend applying the finish on all sides prior to fastening to the wall. Don't forget to end wax any fresh end cuts with Ipe Seal or Anchor Seal. For exterior furniture, additional coats may be applied as desired. Wet sanding with 400 grit using APITONG OIL (not water) will help you achieve a silky smooth finish. APITONG OIL may also be used on interior wood projects including furniture, dining tables and more. APITONG OIL wood finishes are safe for indirect food contact after curing for 14 days. Full hardness is achieved after 30 days. APITONG OIL SHOULD NOT be used on CUTTING BOARDS, SERVING PLATTERS, SALAD BOWLS, OR ON ANY FOOD PREPARATION SURFACES. After the initial application, maintenance can be done with a simple light coat of APITONG OIL wiped on and wiped off. Once your wood project has been finished with APITONG OIL, additional coats will not soak in deeply since the wood is already sealed and protected. However, a light coat of APITONG OIL will keep your wood clean provide the best possible texture. It is absolutely critical that you do not over-apply APITONG OIL. More is not necessarily better - excessive finish on the surface of the wood which cannot be absorbed must be avoided. Over-applied finish must be sanded off and followed with a light reapplication of APITONG OIL. Warning!! Please read this carefully if you intend to use this product. APITONG OIL, just like any other natural oil based finish, will self combust if rags are left in a pile after finishing. Heat is generated as the oils dry. We recommend that you dispose of used rags by placing them in a metal can full of water and then taking them to your hazardous waste center. You may also allow them to dry flat in exterior conditions - hang them on a fence, for example. Never store rags wadded up in a pile in your garage or tool shed. If you have questions about self combustion or disposal or rags, please call us - we have personal experience - yes, it really will self combust. Please do not hesitate to contact us before you start your refinishing project if you have any questions whatsoever. Our in-house experts have plenty of personal experience using these products.